I have always found it very very hard to express who I am, I was never notised in school and as I missed alot of school people sometimes forgot who I was, I also had and still have a very bad self confadance. About 5 years ago I got very ill and missed alot of school, I was in and out of hospital and lets put it this was the doctores could not find out what was rong and I was told I was a lier, this nocked my confadence a lot as I was very very ill anyways go forward about 4 and a half years they finaly find out what is rong with we and I actully have a glutin intolorance. anyways because of me missing so much school and being so ill I had a huge confadence nock and found it hard to comunicate in frount of others and express myself, Untill I fould a product called makeup.... Makeup helped me alot, I would practise applying it when I was sad and it would cheer me up and put a smile on my face, it also made me alot more confadent. 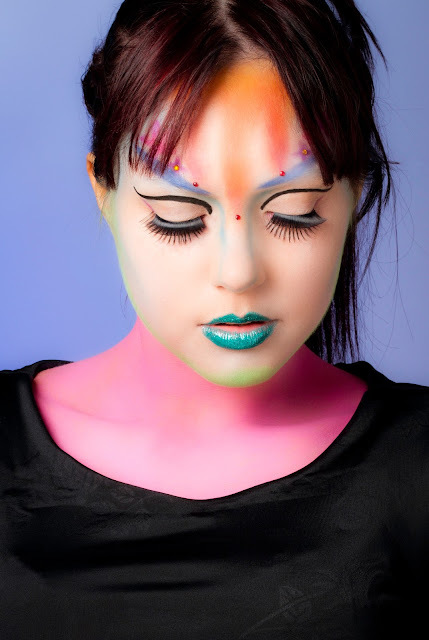 Back then I did not think I would be were I am today, Very helthy, And able to express myself through the art of makeup.. People look at my makeup and sometimes call me crazy, and very creative. I have always been creative as I have dislexia and the crative side is the most active side of my bran (if you want me to do a post of my story with dislexisa i will) but I have finaly found a way to show my creativity. this is a picture from a shoot I did a few weeks ago, it was in the planning for quite along time and I was so happy with the results... this look came directly from my brain and i'm very very happy with it and I know its not everyones cup of tea but it makes me smile. 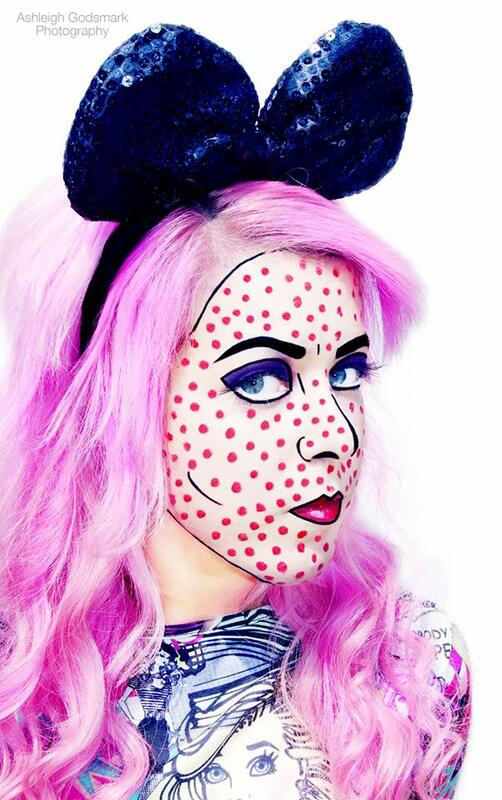 I love pop art makeup so decided to do a shoot inspired by pop art, this was actully a last minute shoot but one of my favorites to this date. so that is alittle about me and my makeup work, let me know if you like this kind of shoots and I might do somthing simmeler. hope you like the makeup looks and to fine out a little somthing you did not know about me. This was a really great post Elysa, I think makeup helps us all in different ways. It really helps my confidence, and also makes me feel more artistic. It's horrible when people don't believe you're ill when you are, it's like you're going to the doctors and hospital just for the sake of it. Super frustrating. Can I ask you about your Gluten intolerance, I've been ill now for 6.5 months - previous to that nothing. But I can't eat anything other than yoghurt's, smoothies and fruit and those in very small doses - even then I risk being sick. Thank you, if you would like i will do a blog post on glutin intolorances. Thank you i hope to get published very soon. I love these, what a unique style!